Home > Discover > News > Want a SUMP in your city but don’t have the expertise or tools? Want a SUMP in your city but don’t have the expertise or tools? Three new EU-funded mobility projects have launched a survey to help them understand cities’ needs and barriers when trying to develop Sustainable Urban Mobility Plans (SUMPs). A SUMP is a strategic plan that aims to create an urban transport system for all citizens that improves safety and security, reduces air and noise pollution, greenhouse gases and energy consumption, and boosts the efficiency and cost-effectiveness of the transport of people and goods. The three new CIVITAS projects – PROSPERITY, SUITS and SUMPs-Up - hope the survey will gather valuable insights to enable them to design training courses, tools and guidance to help cities develop high-quality SUMPs. 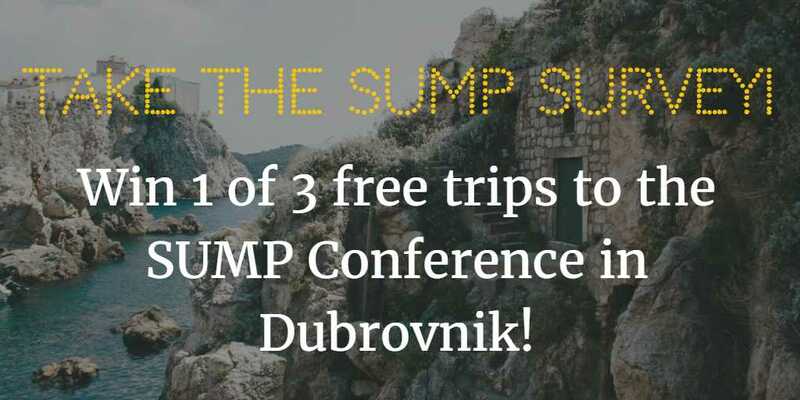 City representatives that complete the survey before Tuesday 28 February 2017 will get priority for the projects’ training and support activities, and have a chance to win up to €600 towards travel and accommodation costs for the 4th European Conference on Sustainable Urban Mobility Plans in Dubrovnik (Croatia). 'This survey will gather crucial details on what’s holding back or driving forward urban mobility planning in cities across Europe. It will enable our experts to create high-quality products and services that local authorities can use to develop SUMPs,' said Cristina Garzillo, the SUMPs-Up project co-ordinator. Unfortunately I was not informed on the SUMPs-Up Survey conducted and didn't participate in it. If possible, I would like to know about the answers on the SUMPs concepts given through the survey or any document published on that survey. Following SUMPs-Up Project news in ELTIS website, I kindly ask you to add my address: vera.shiko@ital.gov.al to be contacted by email on the project training and support activities opportunities for participation. Thank you for the Comments option.